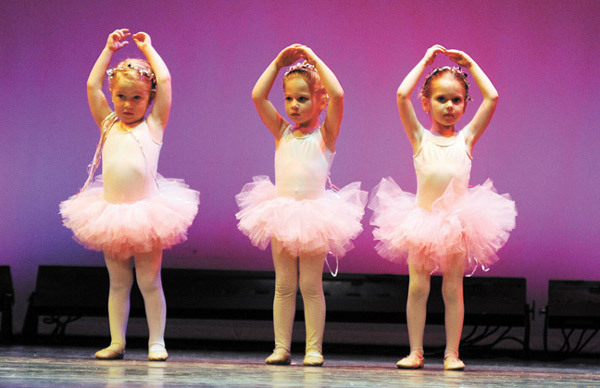 Elite Dance Studio offers ballet and pre-ballet classes for ages 3 and up in various Edmonton locations. In our PRE-BALLET program for toddlers – taken with parents – music, movement, balance and the basic dance steps are introduced in a fun, friendly and positive manner. Parents take an active role in encouraging, supporting and keeping the little dancer on track. Our BALLET classes introduces children to basic ballet concepts. Students work on posture, flexibility and coordination in a fun environment, to eventually introduce choreography.